Queen Elizabeth Dr at Brown's Inlet, June 21, 2008. Young tree. 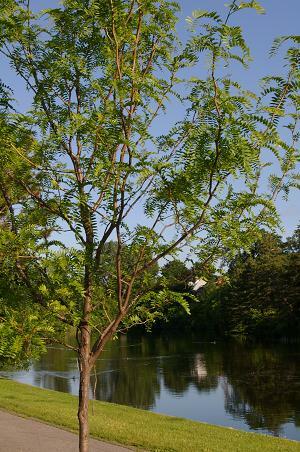 Most honey-locust in the Glebe are small trees, occasionally taller. Woodlawn Ave. May 19, 2008. Queen Elizabeth Drive at QE Place, May 24, 2008. 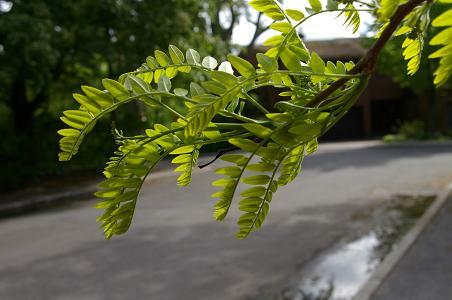 Most of the honey-locust trees in the Glebe appear to be thornless (Gleditsia triacanthos var inermis). Leaflets can be toothed or not. It is late in getting its leaves - noted rougly from mid-May in 2008. 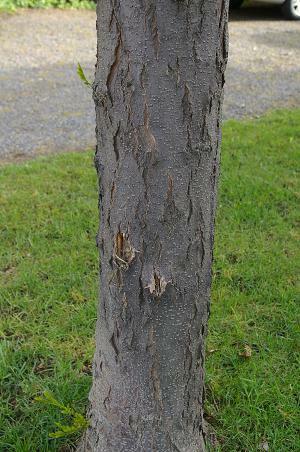 Younger trees have cracking bark. 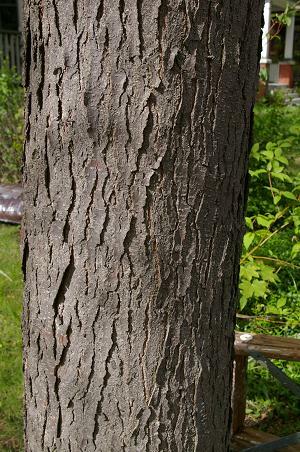 Youngest trees have smoother bark. Path on QE Dr at Brown's inlet. 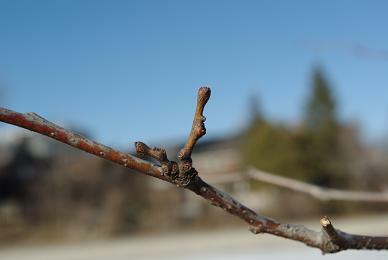 stubs, maybe dwarf shoots or aborted shoots. 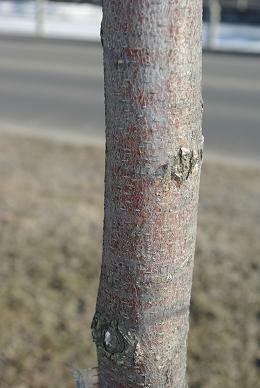 Mountain ash and staghorn sumac have similar compound, toothed leaves in an alternate pattern. 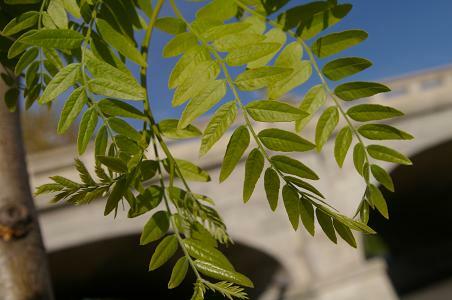 Sumac's leaflets are generally longer than honey-locust. False spirea has leaves similar to staghorn sumac.